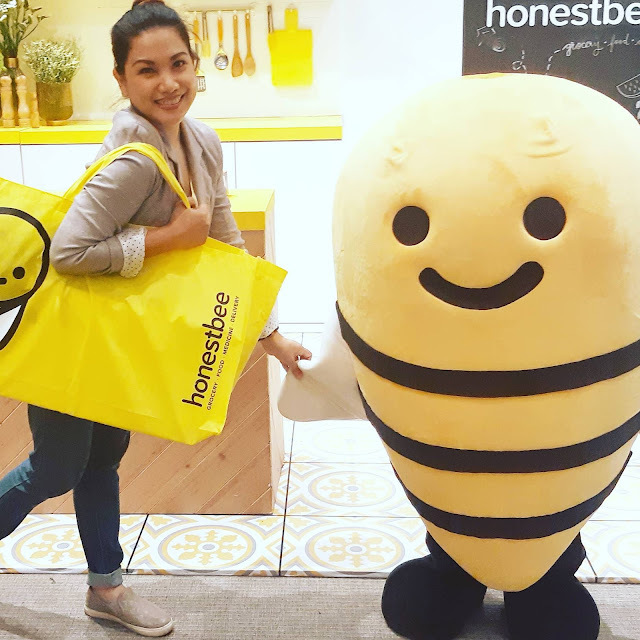 Recently, Honestbee announced its newest partnership with S&R Membership Shopping. 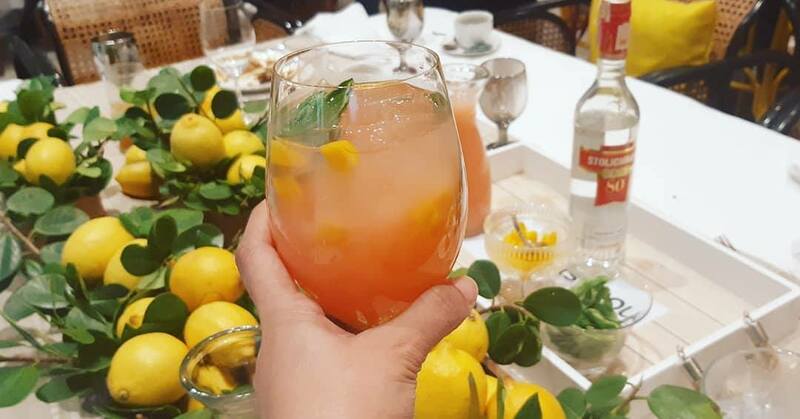 Honest bee is a shopping mobile app and Asia's leading online concierge and delivery service which helps people who are looking for convenience to shop without leaving the house and with just the use of their smartphones. And I really think the best people who appreciate this all the more are the super busy and intentional full time moms - that's US! I cannot stop raving about this on my IG stories when I shopped some groceries at S&R via the Honest Bee App, not only once, but twice! I've been saying that convenience could be so addicting. Don't worry, I bought everything I really needed. If there was a want, I guess that would be just the can of chips. In this post, I will take you through my personal experience, what I like about Honestbee, and my S&R shopping haul. Are you ready? I am giddy excited too! First of all, when you download the Honestbee app for free via Play Store or Apple Store, you'd be asked to sign up. It's so easy to sign up, just input your name, your address, your email address and your mobile phone. Once done, you'll see the two main shopping/delivery categories - GROCERIES and FOOD. S&R as I've mentioned is now the newest partner of Honestbee among others like Robinsons Supermarket, Farmers Market, SouthStar Drug, The Parenting Emporium, Mustela, Tiny Buds, La Petite Parisienne, and many more. 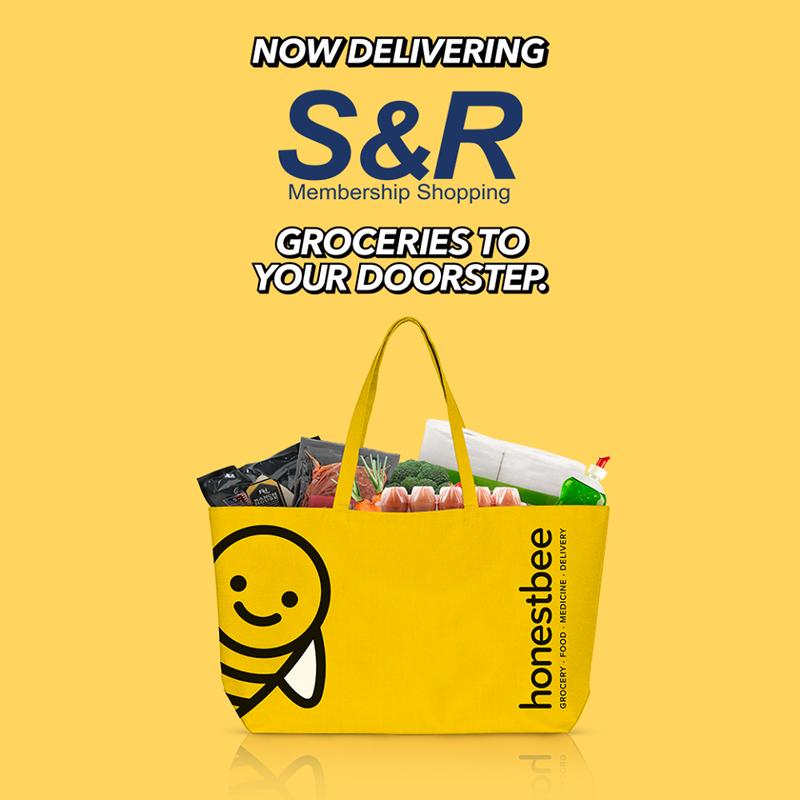 But with S&R now among them, I said, I've got to really try this because at S&R Membership Shopping, through Honestbee, you may now also access high-quality and hard to find merchandises only made available to its members (with a minimal 5% non-member fee.) Now even if you're not a member, you get an access to world-class products, high quality wines and spirits, your favorite imported chocolates, and many more! You may even shop for fresh produce which I tried as well. Oh important notice to S&R members, please make sure you input your membership number on your Honestbee profile (look for the Your Store Memberships tab). Not only that, you may also avail of their famous New York style pizza, chicken and churros through their app. “We are always looking for establishments to partner with to deliver your favorite food and grocery items straight to your doorstep,” said Crystal Gonzalez, Managing Director. “We’re happy to have found one in S&R which allows you to enjoy its world class and high quality products and the freshest seafood, meats and vegetables to you with just a press of a button.” Ang saya diba? 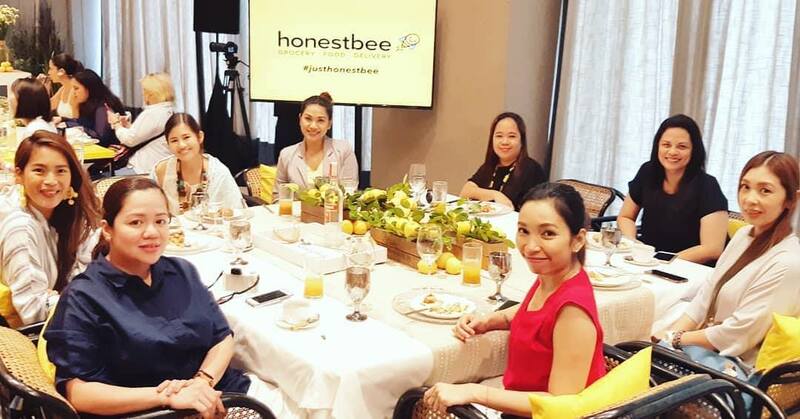 This was announced during the Honestbee - S&R Membership Shopping partnership launch. It's not complicated. Imagine yourself breezing through each numbered grocery isle. The Honestbee app will take you through the departments and even filter categories in each department. Let's say you choose Baby Care department, you may filter what you need from that section such as diapering, feeding, etc. Enjoy lower prices. In my personal experience, I bought the 68 pack of Pampers Baby Dry Diaper for only Php599 on my first shopping and Php 649 (but with free 4 pc pack bundled) on my second grocery. Both prices still cheaper compared to other supermarkets where a 68 pack Pampers Baby Dry L costs Php679. Availability of items not found anywhere. There are many unique items in S&R Membership Shopping we all know that that's why members pay for a fee to shop there right? You get that same access now through Honestbee. I was able to buy S&R Baker's Bread Pullman loaf (which is one of the best loaf of bread we've ever tried kasi it's soft, it's fresh, hindi siya mahangin, and with spread or not, masarap siya! 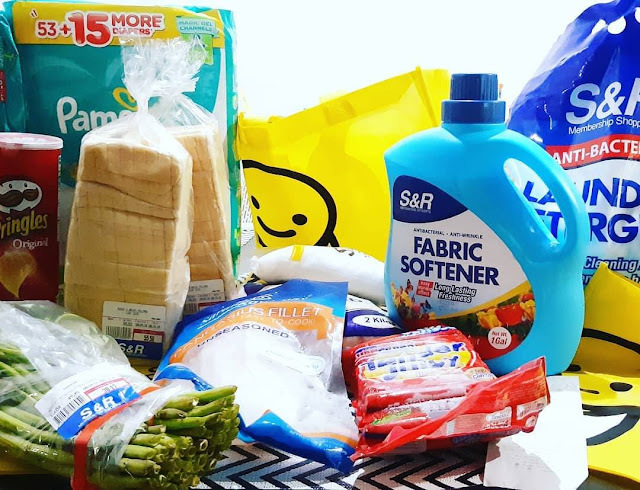 ), S&R 1 Gal Fabric Conditioner, and a big 5kg S&R Laundry Detergent, to name a few - which you cannot find elsewhere of course. But knowing they come from S&R, you're assured of their quality. Friendly Honestbee shopper. Professional and well-trained. All my orders were picked correctly. It felt as if I had a clone. Ang saya! On-time and even early delivery. 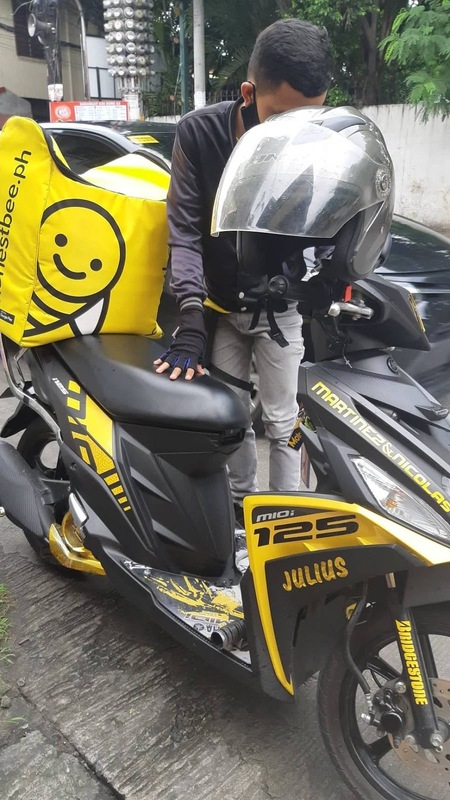 If you order via Honestbee in the morning, you may have your groceries delivered within the day. You may choose from the delivery schedules which will appear on your app once you finalize all your orders. In both of my experiences, my orders came earlier than expected. Merchandise packed properly in nice eco bags. 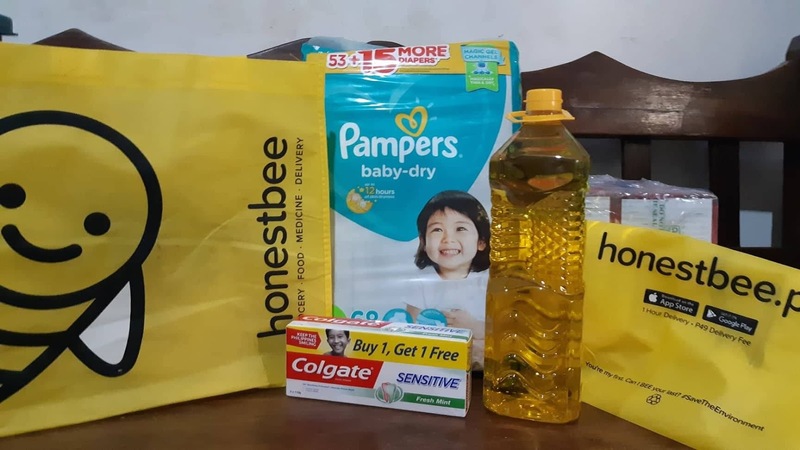 My orders came to me in bright yellow and thick Honestbee eco-bags which are reusable. Savings din yun because imagine how much each eco bag costs in other supermarkets right? The fresh produce and food are separate from non-food. My breads weren't dented/be-dimpled. Regular shopping and delivery updates via text. My concierge updated me one time when one of my orders were not available, so she asked if I want to cancel or replace. She also updated me on the delivery schedule and if I am amenable to an earlier delivery. She was pleasant and professional as well. I felt like I have an assistant, for a SAHM, parang naging donya ako for a moment. The rider was also pleasant and presentable. Justifiable fees. As mentioned, if you are not a member, you pay for 5% surcharge fee, so it's really better if you're a member. You also pay for concierge fee (I paid Php120.00) and if your order is below Php2500, you pay for the delivery fee (I paid for Php99). These fees are justifiable and I would say convenience fee. I would definitely spend more if I did the grocery myself because Grab or gas fee, parking fee, food because grocery could make me hungry, and I am tired pa. Plus my time and energy spent grocery shopping is priceless - happy that I was able to "do" my grocery while staying at home with my kids. COD as payment option. For most who are skeptical about technology shopping or online/mobile shopping, having COD as one of payment options would make them shout Hallelujah! You pay when your merchandise arrives. But you may also pay with card. Convenience guaranteed. No wasted time. No traffic horror stories. No transportation hassles. No long queues. No distracted nor out of budget purchases. Get groceries done right at the convenience of your home with your loved ones. You can say that I was a satisfied Honestbee customer. 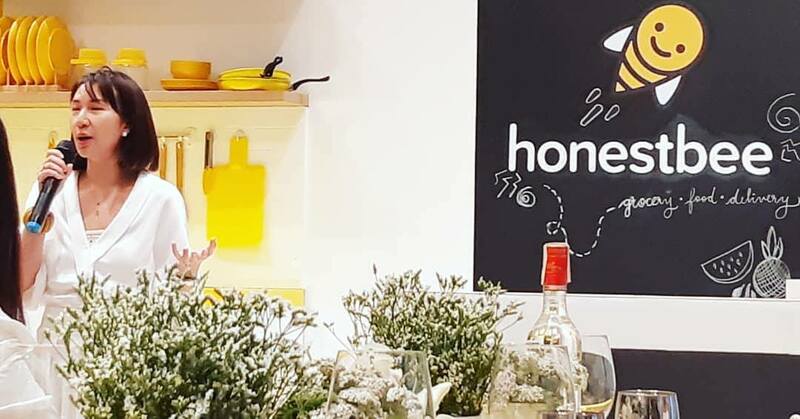 WHO WOULD LIKELY TO SHOP VIA HONESTBEE? THEN, download the honestbee app for FREE and try it on your next grocery schedule! 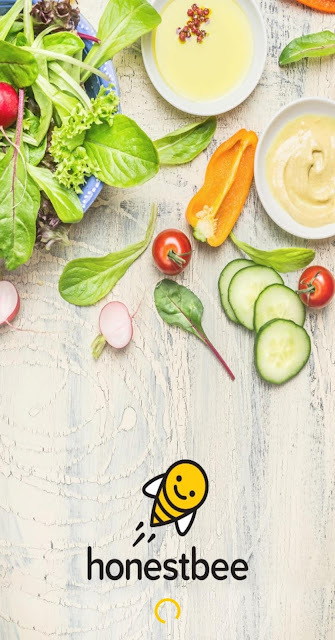 ALL first-time users can enjoy Php 500 off with a minimum purchase of Php 2500, sign up through this voucher: https://honestbee.ph/r/LOUISES6512. For more information, visit https://www.honestbee.ph/ for more information. Enjoy shopping!